While in London, war breaks out and Maggie decides to extend her stay to do her bit for King and Country by helping the war effort. With her mathematical prowess, her extraordinary gifts for codebreaking and her fluency in German and French, Elia McNeal might have dropped Maggie into Bletchley Park as so many talented men and women were plucked from the universities to assist in breaking the German cypher code, Enigma, which, according to Churchill, shortened the war by two years. Although individuals who work at Bletchley Park enter into the series, including a spy, Elia McNeal has other plans for her heroine. Maggie finds work as a typist to the newly minted Prime Minister, Winston Churchill. Soon Maggie’s talents are spotted in the PM’s office, particularly by John Sterling, one of Churchill’s Private Secretaries. As a typist, Maggie isn’t privileged to have access to the high level security issues, but John is and he is receptive to her astonishing skills. He also knows more than he is letting on—especially about Maggie and her past. Eventually she finds that working for Churchill affords her a level of clearance she could never have imagined—and opportunities that would not have been possible at Bletchley Park. Her access to the War Rooms and a chameleon in her personal life exposes Maggie to the machinations of a menacing faction determined to inflict as much damage as it can on England. While the Blitz pounds London with its nightly air raids, there are other sinister forces at work; the Irish Republican Army (IRA) is an active terrorist cell is engaged in espionage and sabotage throughout London and they have targeted an iconic London landmark. While everyone in the PM’s office is focused on Germany’s movements, the IRA is seemingly forgotten until Maggie sees something she believes to be a coded missive about the PM and a cathedral. Among her colleagues, initially only Sterling seems willing to listen. At this point, Elia McNeal historical notes at the end of each book are most helpful regarding any questions that arise around authenticity and plausibility. Reading that Maggie is able to decode a Morse Code message embedded in the drawings of a dress in a magazine strained credibility until I read the author’s note that in 2006 the British Intelligence revealed that Nazi agents in England did in fact use this form of communication in an attempt to outwit the British censors. Because of their common enemy, the IRA did foster contacts with German Intelligence (the Abwehr), so it is not inconceivable that they could engineer a plan to blow up a major symbol of English resilience given that they succeeded in Belfast and Derry. I wondered if the attempted assassination of Churchill was farfetched until I read that in 2012 the British press reported that secret wartime papers exchanged between MI-5 officials reveal that the Nazis’ plans to conquer Britain included a deadly assault on Sir Winston Churchill using exploding chocolate. German secret agents in Britain planned to discreetly place the bars of chocolate—branded as Peter's Chocolate—among other luxury items taken on trays into the dining room used by the War Cabinet during the Second World War. This is not the scenario that Elia McNeal imagines but she should receive kudos for incorporating the attempt to assassinate Churchill into her novel. As for that spy at Bletchley Park (that is also a central conceit in Robert Harris’ Enigma), she was right on one account: there were no German spies there but there was a Russian spy, John Cairncross, the so-called ‘Fifth Man’ among the Cambridge spies, who jeopardized the work at Bletchley but fortunately did not inflict incalculable harm on British Intelligence in part because the enemy at this time was not the Soviet Union. 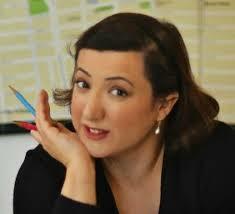 The author should be acknowledged for her effort to tell a credible story. 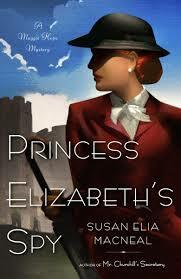 Her second novel, Princess Elizabeth’s Spy, does not match the plausibility standard of Elia McNeal’s debut novel, but this blemish does not diminish the reader’s enjoyment. As England steels itself against German attack, Maggie Hope completes her training to become a spy for MI-5. Given her vast talents, she fully expects to be sent abroad to gather intelligence for the British front. Instead, to her great disappointment, she is dispatched to go to Windsor Castle, where Churchill believes that a serious threat exists to the members of the royal family. Having someone around Princess Elizabeth that he trusted would add another level of protection; her cover will be tutoring the young princess in math. Churchill is right; castle life quickly proves more dangerous than Maggie ever expected. When a woman turns up dead and coded British missives are found in her possession, the reader does not doubt that there is a spy at Windsor. The opening scene in neutral Portugal, wherein a powerful German official converses with the former abdicated king and his wife, who both share fascist sympathies, adds historical authenticity to the belief that there was a threat to the royal family. In the last part of the novel, our credibility is shaken with a far-fetched attempt to kidnap Elizabeth, one that is foiled by the quick-witted Maggie who earlier had taught the princess a few codes that come in handy when the security team sets out to rescue her. Only Maggie can decode the marks that Elizabeth made on a rock. This section is historical hokum and begins to feel like a young girl’s adventure novel. Still, if read as a thriller, the novel at times is engaging with its pacing and compelling characters, particularly a physically disfigured and psychologically damaged veteran of the war. The most fascinating parts of the novel are, however, those where Maggie begins to learn more about her family secrets, secrets that others, including the Prime Minister know far more than she does. The reader has to wait for the next installment. 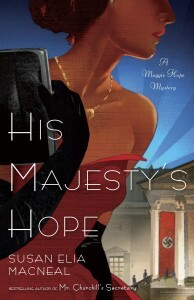 In His Majesty's Hope (2013), Elia McNeal has delivered on several accounts: she has written a gripping, historically grounded espionage thriller with startling revelations about Maggie Hope’s mother, who turns out to be an important character, as well as a transformation in Maggie’s character after a foray into enemy territory has stripped away her “plucky” sheen and left in its place emotional scars. The author’s piling on of coincidences, particularly around Maggie’s personal life, however, might be regarded as a blemish. 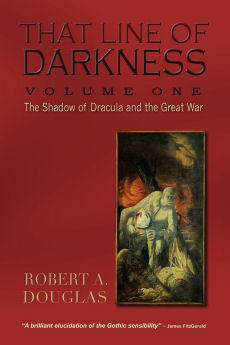 As the novel opens, she is fresh from her training with the Special Operations Executive in England, and on the personal recommendation of Winston Churchill, is catapulted in 1941 into the maw of German fascist savagery. Maggie is given a new identity with a thoroughly developed backstory to go along with her clandestine mission and a cyanide pill to swallow should she fail and be apprehended. A woman dropped behind enemy lines is not new to fiction or nonfiction. Several years ago, Sebastian Faulkes in Charlotte Gray parachutes his eponymous protagonist into France to complete a specified mission. But instead of doing her job and heading home, Charlotte presses on in the hope of finding her lover. Her stay in France provides her (and the reader) with an unsettling education about the extent of the shameful collaboration that occurred in Vichy France. 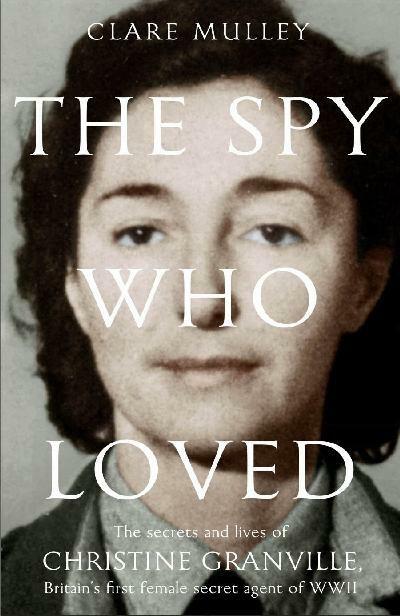 More recently, Clare Mulley has written a fascinating biography, The Spy Who Loved: The Secrets and Lives of Christine Granville, Britain’s First Female Agent of the Second World War (MacMillan, 2012), about a remarkable Polish woman who demonstrated resourcefulness, courage and charm: she skied several times over the Carpathian mountains between Hungary and Poland to bring out Polish refugees. Among her many extraordinary derring-do feats was being dropped into France and rescuing three of her comrades from certain execution. She survived the war only to be murdered by one of her many spurned ex-lovers in 1952. Maggie’s task is to deliver radio crystals and plant a radio bug in the home office of Clara Hess, a high ranking Nazi who socializes with Goebbels and has agents assigned in place with the goal of poisoning England’s water supply. That plan is thwarted when MI-5 turns one of them into a double agent, as the British did with astonishing success throughout the war. Maggie is able to quickly fulfill her mission. 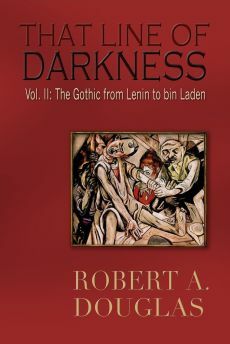 Reluctant to leave when she believes she can do more, she penetrates, with great daring and reliance on her keen instincts, the highest levels of Berlin's elite, gathering information to pass on to London. By staying Maggie discovers that Clara is her mother that she thought was dead and uncovers secrets that seem to involve Hitler's rumored "final solution" for his utopian society. 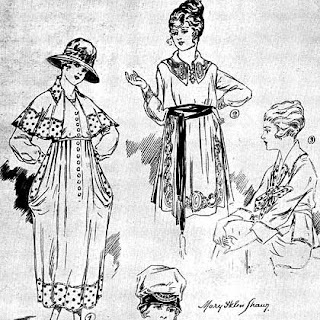 In the meantime, Clara's half-sister Elise, an anti-Nazi, who is a nurse hiding a British pilot and the Jewish husband of a colleague in the attic of their mother’s house, is horrified to discover the implementation of Operation Compassionate Death in which handicapped and chronically ill patients are being spirited away for euthanasia. Needless to say Maggie and Elise meet as do Maggie and her mother with momentous consequences. Maggie eventually escapes from Germany arriving home distraught, likely suffering from post-traumatic stress—no doubt compounded by the unravelling of her personal relationships—due to the loss of human lives that occurred as a result of decisions she made in Germany. She was not fully prepared for the nastier sides of being an agent in a hostile country or the depth of evil that can reside in people and these revelations have taken an emotional toll on her. Even though she made the right decisions given the high stakes, she is devastated by her capacity for ruthlessness and the consequences of some of her actions. Near the end of the novel, Maggie is approached by the head of MI-5 who tells her that she should be proud of her accomplishments instead of feeling guilty. He reveals that he has had to commit unspeakable acts— we witness one of them in Churchill’s Secretary—but they were necessary when England faced an unprecedented existential crisis. She is not convinced, feeling that she has “set aside her moral compass.” At this time there will be no special ops for her as she is dispatched to Scotland to help in the training of MI-5 operatives. Expect a street-smart, perhaps cynical or sadder, yet highly competent and more three-dimensional operative to appear in the next installment.